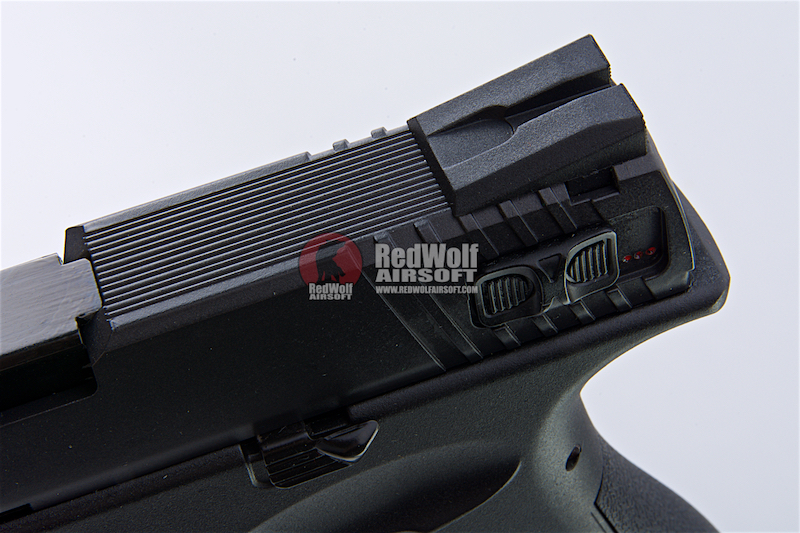 Compatible with APS Co2 Magazines. 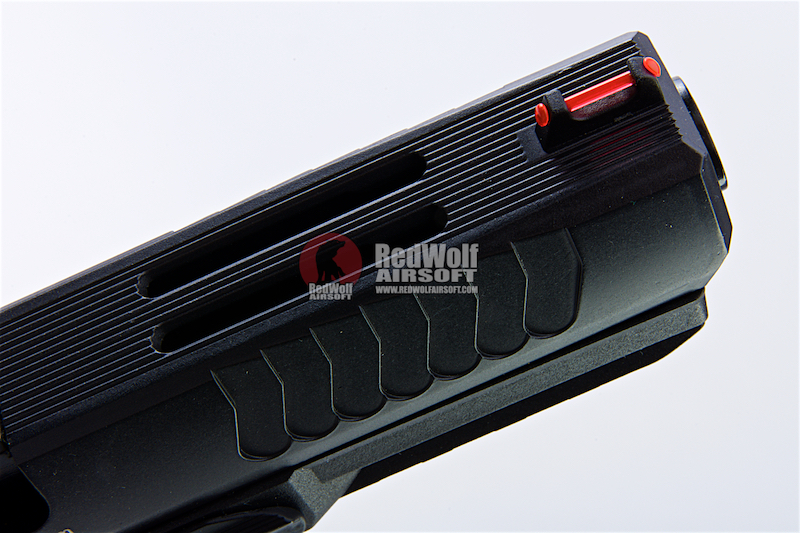 Magazine Compatibility - TM Type G Series magazine. 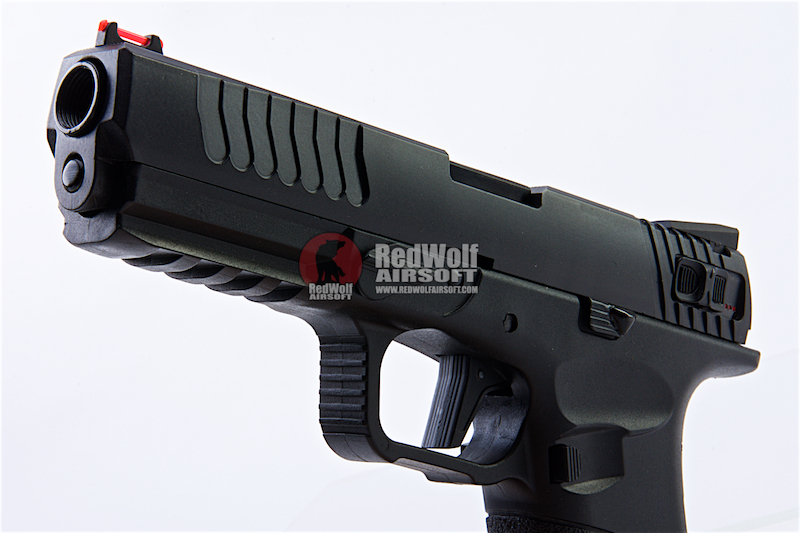 The APS Shark Pistol gives you an average 330 FPS in 0.2g BB. You can finish all 23 rounds in 2.5 sec under full auto firing model. 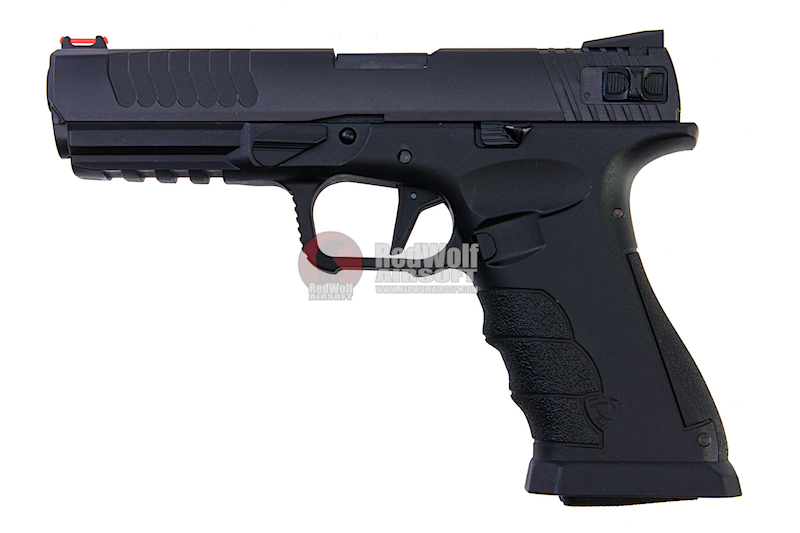 There is no doubt about the performance of this gun. Straight, Accurate, Power, and Durability can always be found in APS Pistol. Shark Pistol is a D-Mod Pistol. 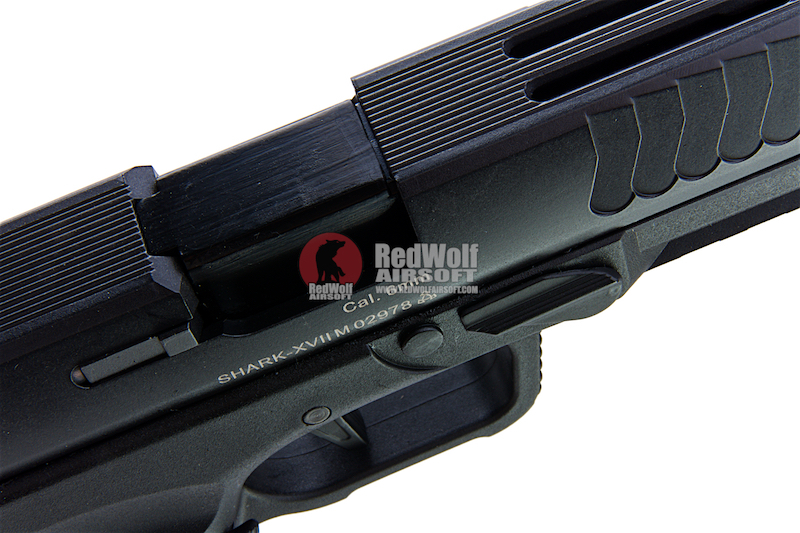 Same as APS Dragonfly, Scorpion, Spyder Pistol, Shark Pistol is fully compatible with Top Gas Magazine use. 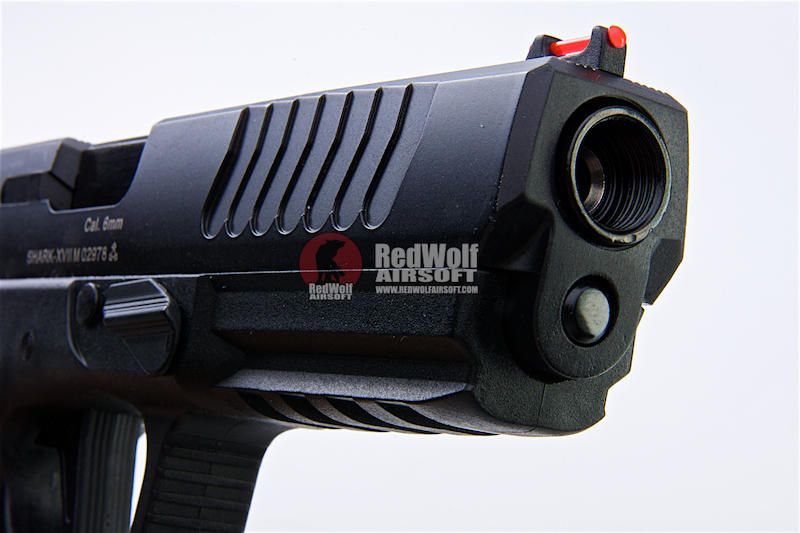 This pistol allows you to shoot 60 rounds in one Co2 magazine and nearly 50 rounds in using Top Gas magazine which is no comparison with other Gas pistol in the market. Ambidextrous design is getting important, especially there are more and more many left handers in the field. So they designed a brand new safety switch that could be controllable by index finger. User can simply lift the switch up or down for safety off / on. The magazine release button is also in Ambidextrous design. Straight / Flat Trigger is used. They made a bigger round shape inbound trigger guard. To make it further comfortable in griping with different hand sizes, the grip pad of the Shark is exchangeable. It comes with a Fiber Optic in the front and white dot in the rear. 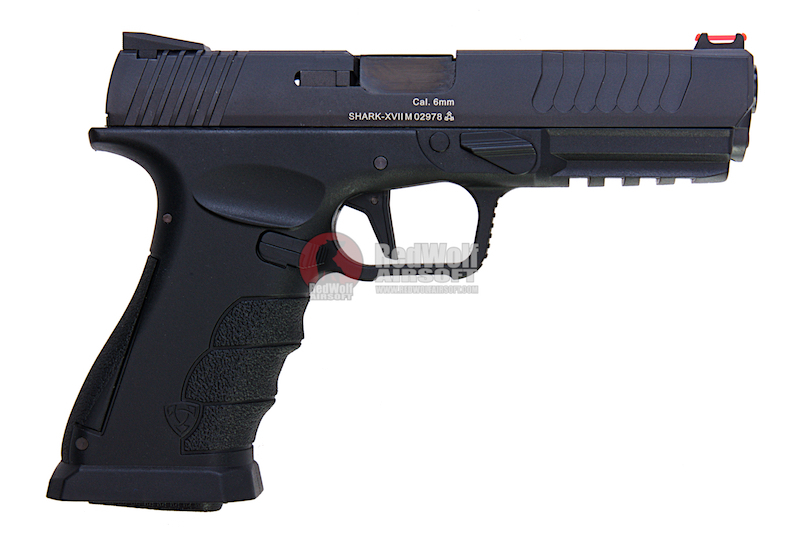 x1 x1 APS Shark B Semi / Auto Gas Pistol - Black. x1 x1 23 Rnd Magazine.